Get Educated, Feel Encouraged, Be Empowered! *Don't know where to start? *Been turned down by lenders? *Credit not where it needs to be? *Need down payment and closing cost assistance? All of these things can be overcome by HOPE! WELCOME TO HOPE FOR HOUSING! 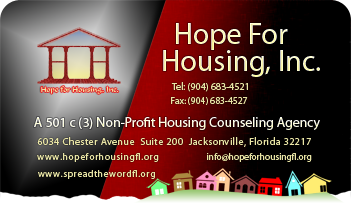 We are a Florida based, 501 c (3) HUD Certified housing counseling agency whose main objective is to educate and counsel potential home-buyers throughout their entire home buying endeavor. If you are looking to purchase a home or just would like to get some information about the home buying process, look no further! We are here to help! We are 501 c (3) HUD Certified housing counseling agency whose main objective is to educate and counsel potential home-buyers throughout their entire home buying endeavor. 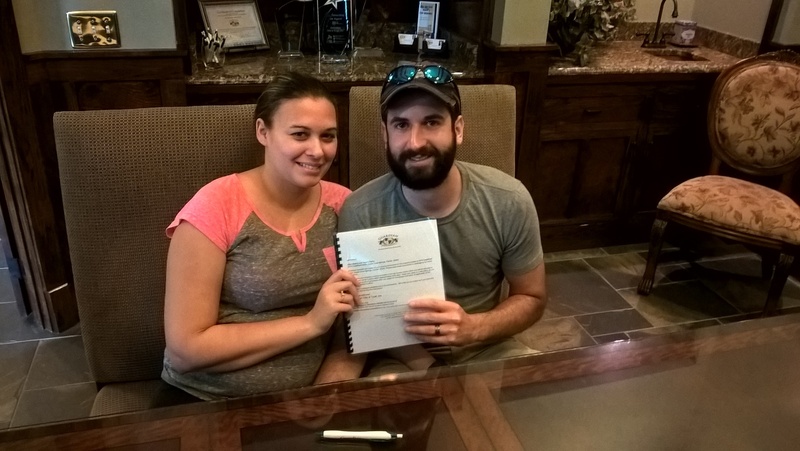 If you are looking to purchase a home or simply would like to get some information about the home buying process, look no further! We are here to help! CLICK HERE TO WATCH A VIDEO ABOUT WHO WE ARE AND WHAT WE DO!